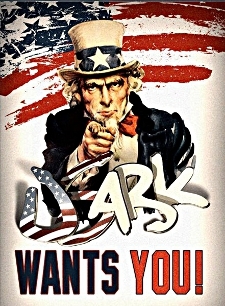 USARK continues to strengthen our case! On Monday (4/27), USARK submitted the final brief (link below) to bolster our arguments before the preliminary injunction ruling to be made on May 7. In opening, we forcefully announce that FWS' previous supplemental memorandum provided no valid reasoning for the Court to deny our application for injunctive relief. USARK again demonstrates that the statute of limitations to bring our claims has not expired. FWS has continually pushed for this lawsuit to be dismissed under the notion that the six-year clock began decades ago, rather than with the listing of these constrictor snake species as injurious. USARK has repeatedly countered and reinforced the fact that a new time period began when these species were listed, furthermore noting that a statute of limitations doesn't apply here. In the latest brief, USARK markedly rebuts the limited and narrowly-scoped legislative history used by the Defendants and amici curiae ("friends of the court"). We also plainly establish that Congress has never ratified (confirmed or adopted) FWS' interpretation to hold jurisdiction to ban interstate transportation and commerce for these species. USARK's brief showed great foresight into the arguments that would be presented by FWS. Specifically regarding the preliminary injunction, which is all that will be ruled upon on May 7, USARK highlights that there is no national threat from Reticulated pythons and Green anacondas. Even from FWS' own environmental analysis, only Hawaii, Puerto Rico, and limited areas of Florida and Texas hold potentially suitable habitat for these two species. Hawaii and Puerto Rico already have import bans. Florida and Texas have stringent regulations in place. FWS gives no recognition that these restrictions currently exist, though FWS declared state regulation was acceptable for Boa constrictors, which were not listed as injurious. FWS chose to attack a declaration submitted on behalf of USARK with our previous brief by renowned herpetological veterinarian Dr. Scott Stahl. This declaration clearly illustrates a lack of proficient herp veterinarians. Included in this declaration is a list of herp vets supplied by the Association of Reptilian and Amphibian Veterinarians (ARAV). This list definitively displays a shortage of herp vets in the U.S. Twelve states have no ARAV-listed vets and another twelve states only have only one ARAV-listed veterinarian. That is nearly half of the United States with minimal or no disciplined herp veterinary representation. In addition, even if there is a veterinarian in a state who will see reptiles, the drive to that vet could be hours (possibly eight or more) away while an eminent herp vet may be only 30 minutes away by simply crossing a state line. In emergency situations, owners of listed species cannot legally drive just a few minutes across a state line, but are instead handcuffed with the only lawful option which is to drive many hours to see an under-qualified and unprepared veterinarian. FWS chose to imply that USARK was claiming economic loss, while that is not what we were exhibiting at all. In contrast, we were undoubtedly showing non-economic, irreparable harm and hardship forced upon owners of listed species. Finding a competent herp vet is quite difficult. Even if a veterinarian will take herp patients, most only provide basic care and are not prepared to treat large snakes. There are reasons that reptile owners travel from all over the U.S. to seek specialized care from distinguished herp vets. One can easily parallel this to human healthcare. People trek from around the country, and even the world, to see preeminent doctors for surgery or complicated medical treatment. They do this even though there is "on paper" a suitable physician in every state. By constraining a pet owner's choice of vets to those within a state, especially for large snakes that require experienced vets, it is functionally equivalent to depriving them of any choice. For many reasons, treating large constrictors cannot be compared to treating smaller snake species. Additionally, treating herps cannot be compared to treating other species of animals. Obviously, in conclusion, USARK requested that the Court grant injunctive relief until a final ruling is made on the lawsuit. There does not exist valid reasoning for the Court to deny this request. Stand strong, Reptile Nation! The Maine herp community has been working for years to make the current overbearing system less restrictive for responsible pet keepers. HP 499 (LD 746) has been introduced and will hopefully go to hearing next week. Let your legislators know you support this bill! The current law requires importation and ownership permits for most herps. This bill would require permits for a greatly reduced list of species. The Action Alert below provides all the details to contact legislators and let them know you support this pro-herp legislation. View the full Action Alert at www.usark.org/2015-blog/action-alert-maine-ld-746/. There is a new anytime RAACA! Check out the format for listing auctions to benefit USARK via RAACA USARK Auctions at www.facebook.com/groups/1623588901209232/. These auctions will allow donations at any time and not just during fundraiser events. Anyone can bid, donate and support the Reptile Nation! RAACA USARK Auctions raised over $2,600 during their first three weeks. Thank you, RAACA, Jordan, Tammy, Houssam, Christine, donors and all the admins in this group!